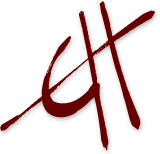 "Erin Hanson is in a very good mood. Perhaps that’s because the rock climber, explorer, and plein air artist spends a great deal of her time outdoors. 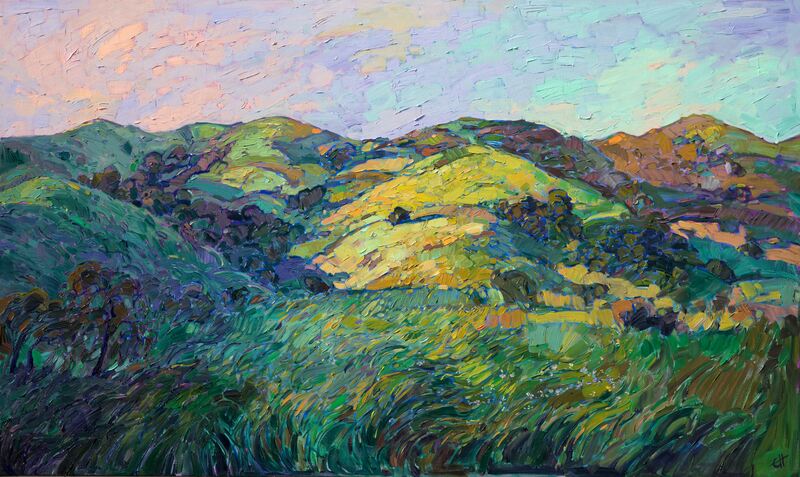 Her exuberance shows through in her bold, bright, impulsive paintings of Utah’s rock formations, Arizona’s deserts, and more recently, the smooth folds of Paso Robles’ hills. Photorealism isn’t Hanson’s style. 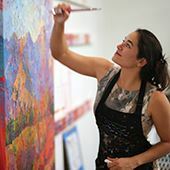 Rather, her bursting, buoyant oil paintings seem to convey the spirit of a place, the energy and life and emotion that vibrates through it. "'I want people to love the desert like I love it,' she says." 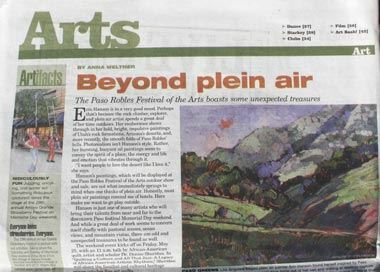 "Hanson’s paintings, which will be displayed at the Paso Robles Festival of the Arts outdoor show and sale, are not what immediately springs to mind when one thinks of plein air. Honestly, most plein air paintings remind me of hotels. Hers make me want to go play outside. "Hanson is just one of many artists who will bring their talents from near and far to the downtown Paso festival Memorial Day weekend. And while a great deal of work seems to concern itself chiefly with pastoral scenes, ocean views and mountain vistas, there are odd and unexpected treasures to be found as well."